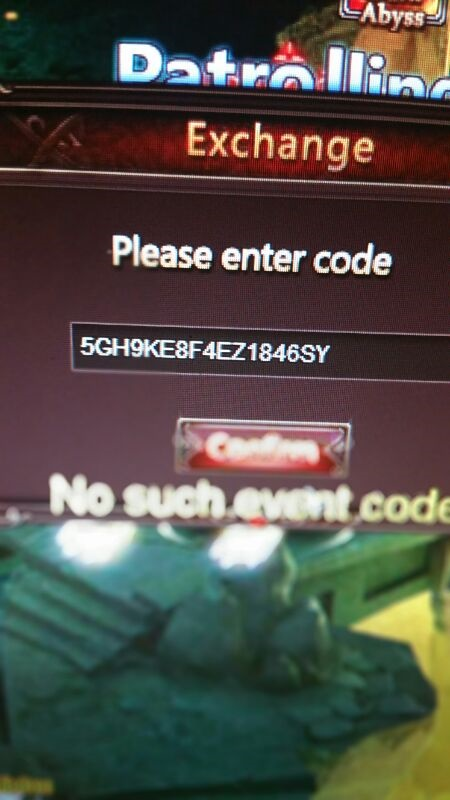 Please help me to resolve this issue ,I got three gift codes for earthshaker but they never wokked!! Could you please be so kind to redirect me to this event page? System sent 2014-07-07 06:15:18 Hi, sorry I try to send Ticket many times but I am not able to send tickets from my Acc. so our guildleader flyangels of S42TtunderPlateau tried to send ticked for me .but there never was a Response. The giftcode never worked .I hope you guys can help,because I´m a good Money spending Player. Please help I send everything I could. Hi, what akumi-san meant is from where you got your code? Some forum event or? If its event from example: 5 months ago then the code shouldn´t work anymore. well I tryed that EventCode; since I got it more times a month but I never was able to get EarthShaker,Form my Acc. somehow it is not possible to write Tickets so our guildleader did so for me, but no reply,this is going for;Long time now and now after spending THOUSANDS IN;USD YOU are telling me you can´t help ,sorry I tryed to be polite but this is not funny ,I hope you will still help me ,because I would hate to QUIT THIS GAME because you guys wount help. PS:I will not acsept no for an answer!!!!!!! 2019-4-19 17:19 GMT+8 , Processed in 0.092816 second(s), 52 queries .